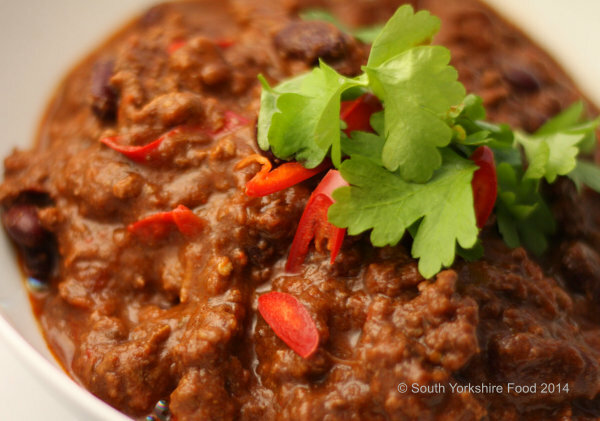 Chilli con Carne has to be one of the best dishes to serve to friends for a casual get-together. 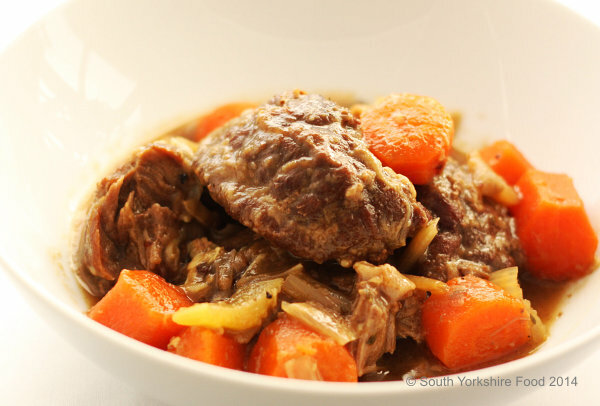 It is best cooked the day beforehand as the flavours will develop overnight. These bruschetta are really good. 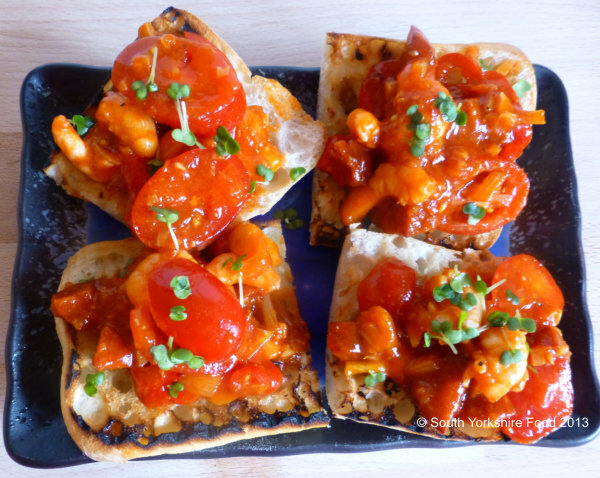 The mixture of the prawn and chorizo, backed up by the sweet warmth of the chilli sauce, gives a taste sensation that just explodes in your mouth. This recipe makes four bruschetta, just enough for one hungry person. To make more, just increase the quantities. 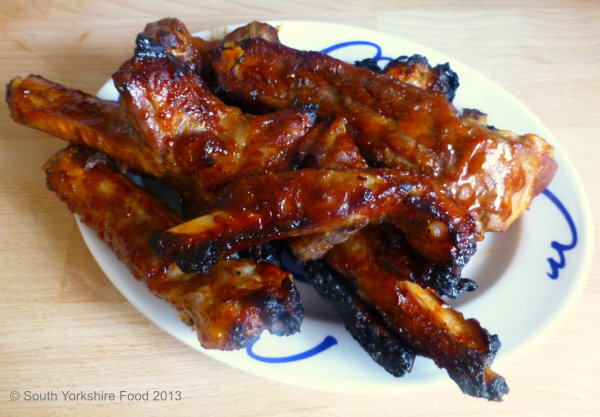 Try these sticky, and tasty spare ribs. They are so delicious you will wish you had made more! Serves 2. Almost everyone loves a great lasagne. 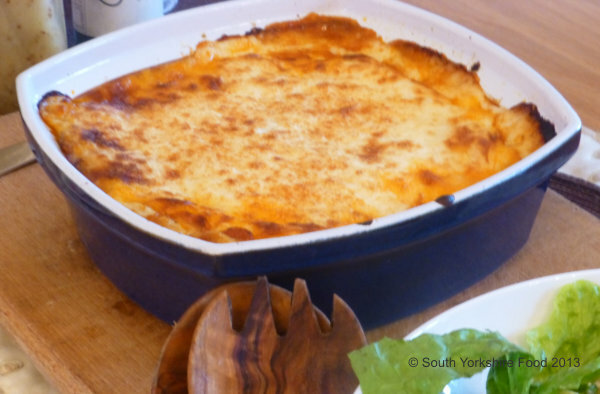 This recipe from Guest Chef Brenda Clough, is especially tasty, and offers a quick ‘cheats’ béchamel sauce, as well as the traditional way of making it, both with the addition of some parmesan cheese for extra flavour. 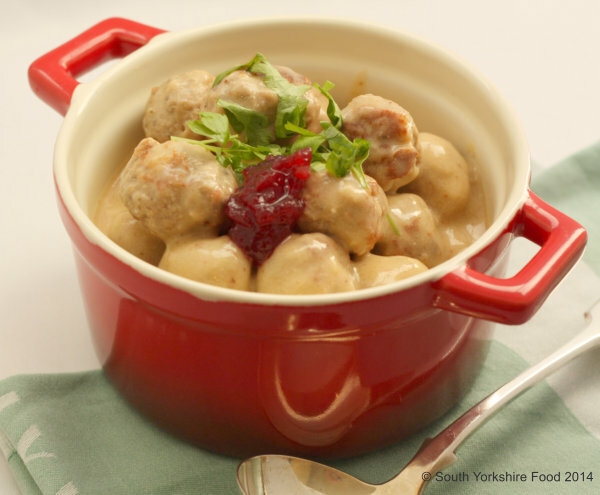 A warming and succulent dish. 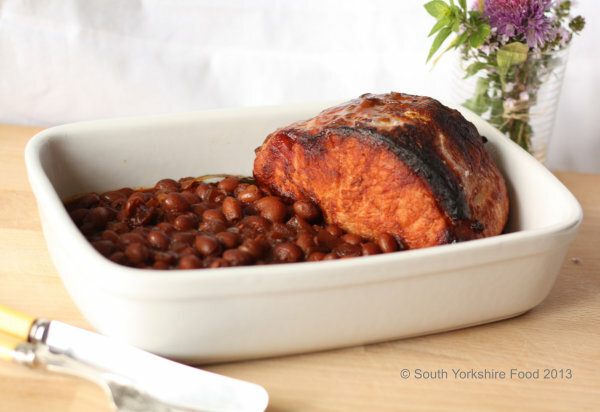 Tender, juicy gammon with lots of sweet and savoury flavours from the beans. 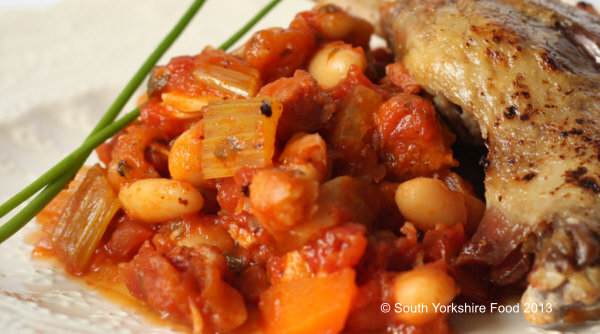 Ideal for a family supper, or to eat with friends for a casual supper party. Serves 4. 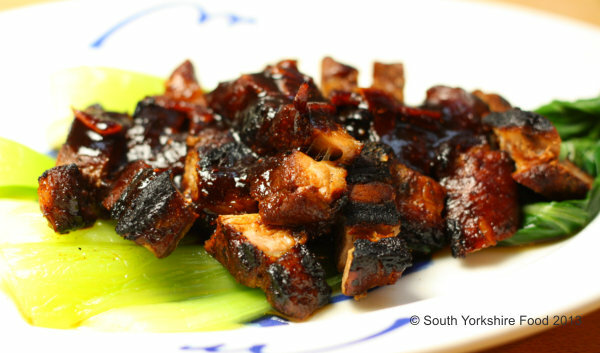 Char Siu Style Barbeque Pork Steaks are a terrific barbeque dish. 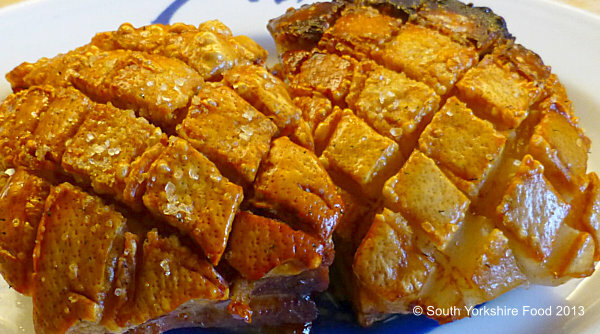 Pork shoulder steaks barbeque well and are more juicy and tender than leg steaks when barbequed. Instant Pickle goes great with this dish. Serves 4.